Are you aware that termite colonies can number up to a million? Unfortunately, quite a large number of them are soldiers, swarms and workers who can inflict a lot of destruction to your home. Further, the fact they reproduce so quickly makes them hard to handle since the queen has a capacity to lay over a thousand eggs on a daily basis. Thus, there is the need to have a proper strategy on how to control them to protect your home from their destructiveness. More so, since the beautiful and warm climate of Singapore creates a good atmosphere for them to thrive, prevention is very important. If you have encountered them in the recent past, then you can attest to their focus on destroying anything that stands in their way – your home included. Since they are amazingly fast and efficient, the last thing you want is to make it all the more easier for them to cause destruction. Thus, below you find some ways you can control termites in your home. If you haven’t realized this yet, a water leak can really lead to a high utility bill. If unchecked, your leaking drainage pipe or faucet can be an invitation card to the termites. Ideally what will happen is that the worker termites will detect the leak from your home and then move in closer. Failure to mitigate this problem can lead to huge losses. 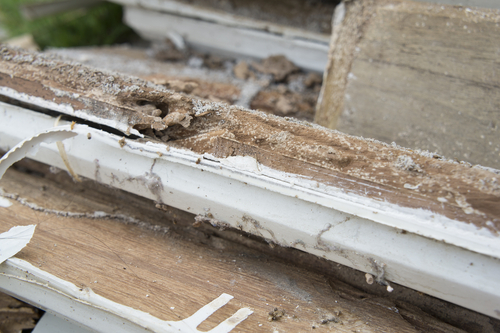 By taking the time and resources to ensure you fix the water leaks, you can be able to remove one of termites survival needs which will help keep them at bay. Generally, stagnant water around your home is highly discouraged by health experts. While this is done to protect your home from mosquitoes, it also helps protect your home from termites and other dangerous pests. To effectively drain the pool water, you should create small drainages that draw the water away any structure that is prone to attack by the termites and from the house. Usually, termites and other insects are attracted by brushes and undergrowth around the house. When humus is also present to that surrounding ground, this provides food to the termites which they so love to devour. Your goal here should be to disappoint them as much as possible by clearing all of the undergrowth present especially those which are present in the structures such as the fence, wall or other parts of your house. Getting the assistance of skilled termite professionals is another option to controlling termites around and in your home. This is because together with their tools, they can use their experience to deal with these pests. You can either decide to ask for their advice or request their services. If you choose the latter, they will visit your home and do an analysis followed by implementing policies which will go a long way in preventing those pesky termites from causing destruction to your home. 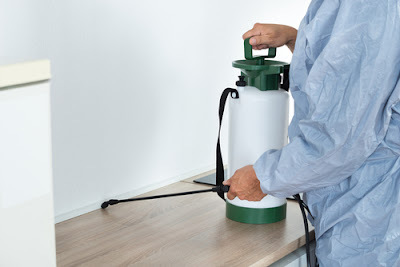 Further, you will have the added benefit of receiving regular checkups in your home especially in those areas which are more prone to termites. In as much as it is okay to keep pieces of wood and timber close to your house for ease of access, it is not a particularly good idea. This is because if you know Singapore, then you know that no piece of wood can go longer than week before being termite infested. Therefore, it would be best if you keep sawdust away from your home and also keep the pieces of wood elevated. Generally, the national pest body recommends a height of at least 20 feet off the ground for all wooden material in your house. However, if you must really keep the wood on the ground, you should make sure that you treat all the pieces of wood to make them inedible for the termites. You should also avoid using mulch around your house since it has moisture and is a good food source for termites. If you must use mulch in and around your home for the plants, then it’s better to buy rubber mulch which you can get in some stores. Not only are they instrumental in keeping termites away from your house, but they are also very functional. If there are cracks in your house, then you are increasing your risk of getting termites and other insects such as ants. This is because cracks and holes around the house provide a leeway for termites to enter your home. This is because these cracks usually provide them with a route to enter your house where there is an abundance of food and water and when they enter, you will be amazed at their destructiveness. Additionally, you should ensure that your home is well ventilated all round especially in the inaccessible areas of the home such as the attic and crawl spaces. This will prevent moisture from building up which will encourage the infestation of termites. Since termites love areas where there is darkness, you should make an effort to create open spaces in your house, furniture or the area where you keep your wood and timber to allow proper sunlight exposure. To effectively do this, you should periodically check if these areas and things are properly heated and dry especially since Singapore is particularly cloudy. Honestly speaking, controlling termites by yourself can only do so much for your home. This means that if your house some serious termite infestations, then chances are you won’t be able to effectively eradicate them. 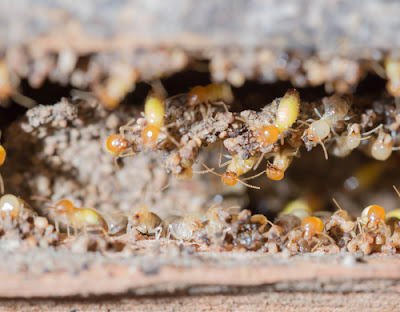 If you notice something suspicious or unusual that could be a termite infestation, then you should always consult a professional to get advice on how you can control these pests. This way you will have all the necessary information on how to deal with these pesky little things to avoid costly home renovations due to their destruction. Further, you will be able to rest easy knowing that your home is free from termites which can be an eyesore when entertaining guests in your home.